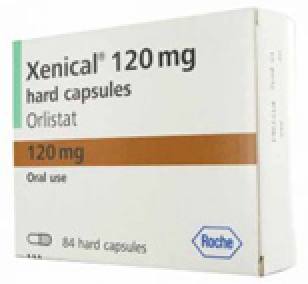 Xenical (Orlistat 120mg) is a prescription only medication that is chosen by medical professionals to help patients to treat obesity. The medication aids the body to adapt to absorbing less fat from the meals that you eat and it is that ability to be able to allow the body to do that which makes Xenical the perfect medication to help you lose weight both faster and easier than before. Following the discontinuation of Reductil, medical professionals now prescribe patients Xenical in order to aid them to lose weight which can often help them to prolong their lifespan. Xenical (Orlistat 120mg) is prescribed in tablet form and is best taken as a single tablet with each main meal that you eat, meaning that you would be taking a tablet three times a day in order to counteract the higher fat levels found within the food that you eat. As the medication is taken at times of eating larger meals, should you find that you have either chosen to, or are forced to miss a main meal throughout the day, your dose of Xenical can also be skipped as taking the tablet is designed to bind fat intake from the food that you intend to eat rather than acting directly on fat your body currently holds. It is highly recommended that once prescribed Xenical you look to follow a healthy eating plan in which less than 30% of the calories that you ingest is considered to be fat, this will aid the effectiveness of your medication and help you to lose weight faster. During the taking of the medication, if you have followed a healthy eating plan alongside the taking of Xenical, you could experience a decrease in some gastrointestinal effects that could be contributing to your obesity. As a way to ensure that you are taking Xenical effectively, it is recommended that you also aim to include multi-vitamins daily within your diet, this should allow your body to get the vitamins and minerals that it needs to retain a strong and healthy life. Clinical tests have shown that Xenical has been successful in helping patients to lose weight quickly when compared against those not taking the medication while eating a healthy diet. Statistics from those studies revealed that on average, those that took Xenical correctly were able to lose 10 percent or more of their body weight within a 12 month period. This success is one of the core reasons that medical professionals now prescribe Xenical to patients that are struggling with obesity. What Side Effects Does Xenical Have? Can I Take Xenical With Other Medications? When taking prescription medications it is advised that you speak to a medical professional before taking further medications for a different condition, however studies into the use of Xenical by obesity sufferers did not record any adverse effects. Remember, our medical team are available to answer any questions or concerns that you could have about medications or conditions and offer free, no obligation help and advice through our contact us section. Can I Buy Xenical Online Without Prescription? Xenical is a prescription only medication and needs to be prescribed by a medical professional before you are able to obtain it. 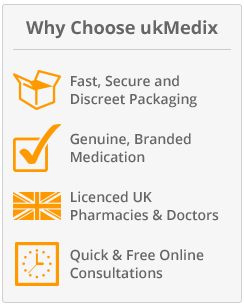 We strongly suggest that should you find a vendor that is offering the medication without prescription that you avoid purchasing it as there is no guarantee that the Xenical is genuine. 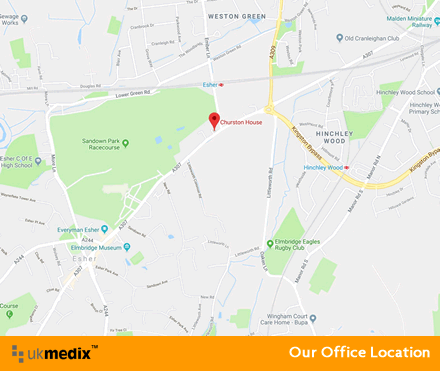 We offer a quick, free and easy online consultation questionnaire for all our patients, which once completed by you is sent to our team of medical staff who will assess and determine whether you require the medication that you have requested. We believe that genuine medication is vital if you are going to be able to take medications safely and are just a moment away should you have any concerns or questions. Do I Need To Exercise When Taking Xenical? Undertaking physical activity is one of the best ways to aid your body to burn the fat held within it and when combined with both a healthy eating plan and Xenical, the effects can be life changing. Although we do recommend that everyone undertakes exercise as frequently as they can, we understand that sometimes it can be hard to do so and that is why we believe that even just a little increase in your physical activity can further the results that you will see while taking Xenical, as long as taken correctly. Are There Any Alternatives I Should Know? Prescription medications that help you lose weight generally fall into one of two categories, either they work within your digestive system to bind fat intake after meal times in order to prevent all of the fat being absorbed into the body or they act as appetite suppressants. The reason that Xenical is often prescribed by medical professionals is that many of the alternatives lack the clinical studies and trials to be able to show conclusively that they work as effectively as Xenical does. What About General Fat Burner Tablets? As fat burner tablets are freely available on the market, they carry very limited testing and often return poor results following their use, alongside a large list of common side effects. We suggest that if you are looking to fight obesity, you do so with the help of medical support and prescription medication, as this is the only way that you can be sure that the tablets that you are taking are safe for you to do so.